Michael during a recent visit to Patricia Lovett’s studio. 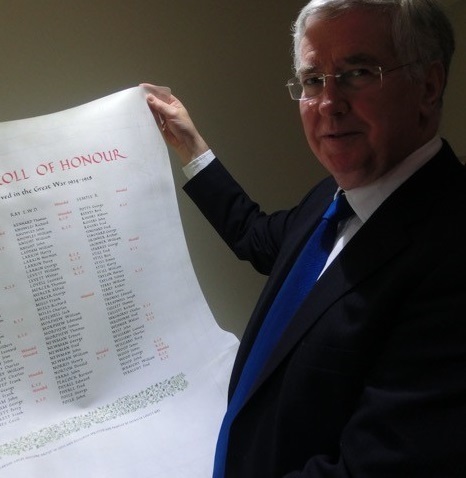 Michael has helped to secure victory in the campaign to continue the use of vellum for printing Acts of Parliament. On Wednesday evening, he joined MPs from all parties in supporting a backbench motion to oppose the decision by the House of Lords to unilaterally end the use of vellum. The Commons voted 117 to 38 to approve the motion.